The flip Tile template flips from front to back. 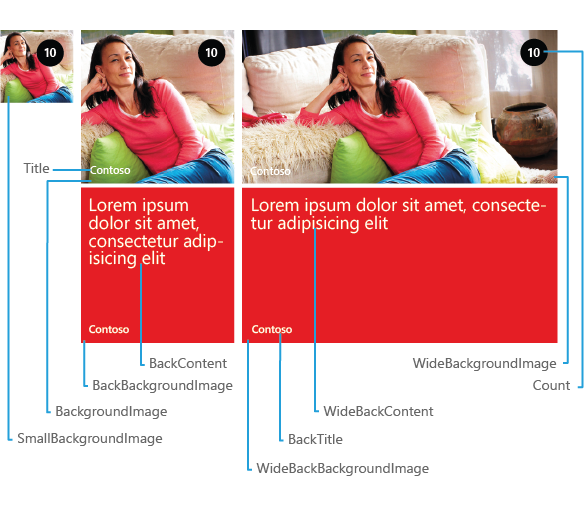 The following image shows the API name associated with each aspect of the Tile template. You use the FlipTileData class to update any of these properties. 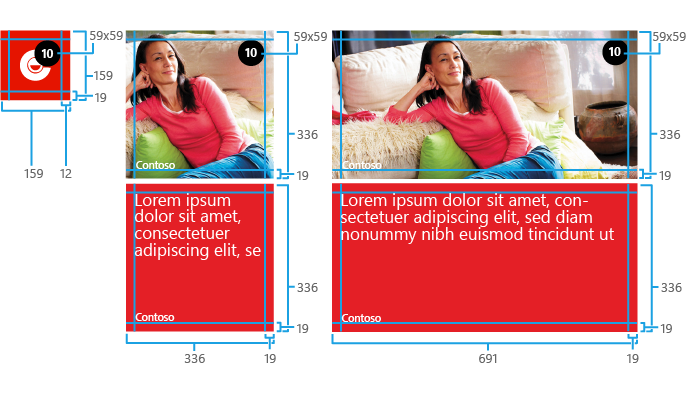 The following image describes sizing info for the flip Tile template. 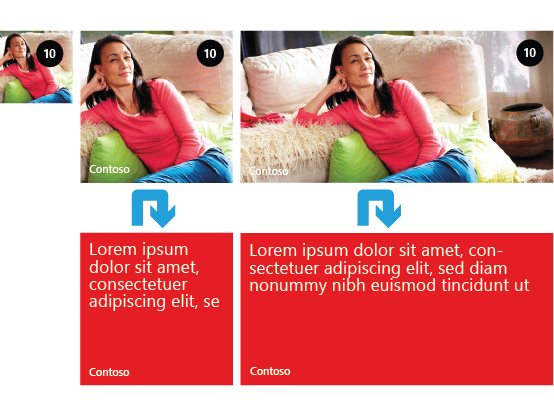 For more info about how to design a great looking flip Tile, see Flip Tile template design guidelines for Windows Phone. You can create or update a flip Tile using either XML or code. There’s no way to know which Tile size your customer has pinned to Start, so you should include all elements. The following code example shows how to create or update a flip Tile using XML. The following code example shows how to create or update a flip Tile using C# code.